As an aspiring journalist, it seems to be a peculiar time in the industry. Trust in journalists seems to be lower than ever. Fake news seems to be spread quicker than ever. Stories are getting published at an unprecedented rate. Is click bait to blame? There is no questioning from a financial standpoint the benefits of click bait headlines. But, from an ethical standpoint, how do these people sleep at night? In the community of journalism, journalists should be joining forces to make the profession a place of strong-ethical practice, where trust between the reader and writer is acknowledged and appreciated. Journalism is a profession where the utmost importance should be placed on truth, not making a profit off of your readers--by any means necessary. Click bait headlines are a true threat to the integrity of journalism and the profession as a whole. Click bait headlines or "trolling" are particular dangerous because we live in a society where social media has become the main source for news and information. The newspaper industry has rapidly declined in the digital and social media era. The problem is that social media sites are filled with click bait and trolling headlines. If people are spending majority of their time on social media, how many click bait and trolling headlines and ads are they clicking on? 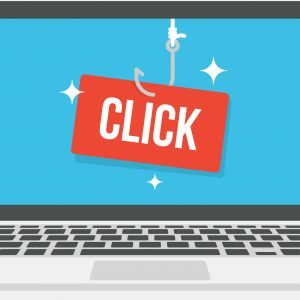 Subsequently, the people putting out the click bait or fake news are generating profit off of each click--it's a real problem. There are two ways to solve the click bait/trolling problem. The first starts with the reader or social media user. In this case, the reader must be able to distinguish click bait or fake news from an actual-informative story. There are certain clues the reader can take to distinguish from a click bait headline. If it sounds too good to be true--it probably is. The other way to solve the problem involves the social media website. Facebook is known for their extensive algorithms that are designed to detect and block fake news if a post is getting a substantial amount of traction in a short period of time. Other social media outlets, such as Twitter could benefit from developing a similar program. The program should include detecting key words and monitor posts getting tons of traction for validity. Ultimately, it needs to be a combined effort--from the journalist to the reader and social media site, if we hope to solve the click bait problem.